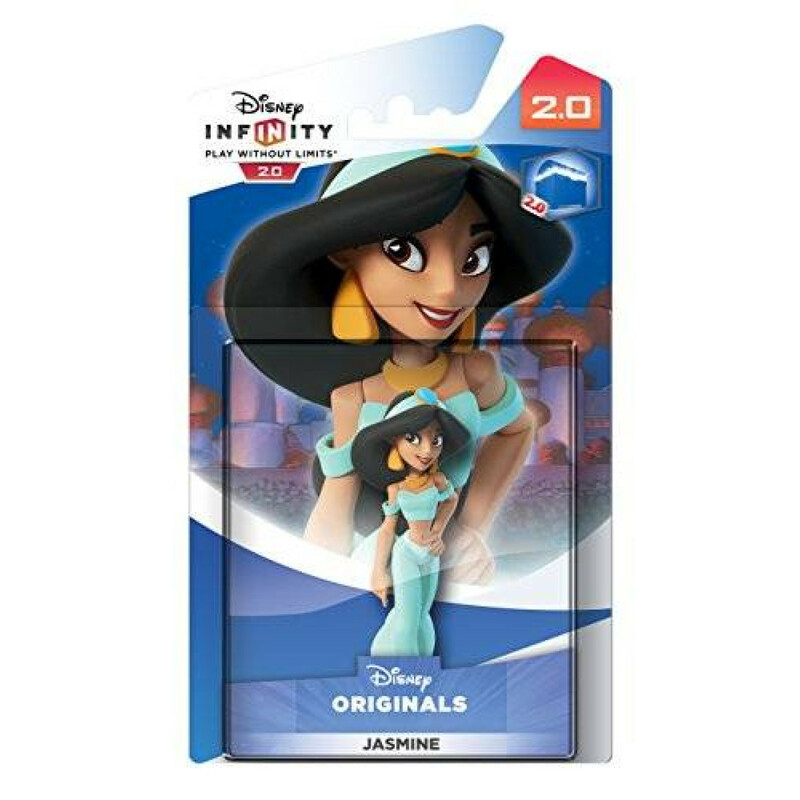 Disney Infinity Figure - Jasmine is one of the most popular of the Disney Princesses and so it is no surprise that Disney Infinity decided to make a figure of her. The figure is pretty true to the movie character. 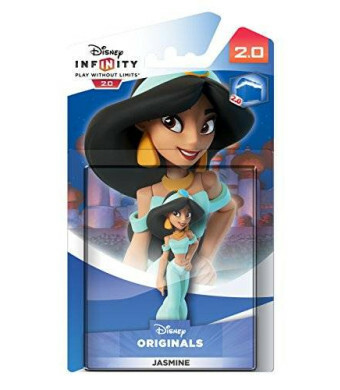 As you would expect, the figure has long flowing black hair, and is wearing her trade mark aqua baggy pants and top. She wears matching slippers and a head band, and a large gold necklace and earrings. The figure stands on a base decorated to look like brown cobblestones.